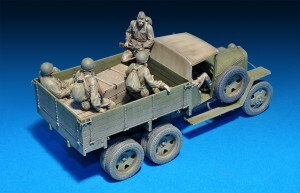 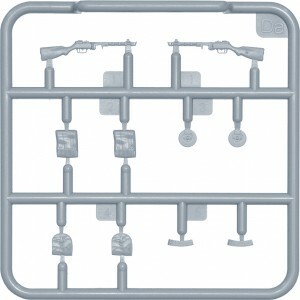 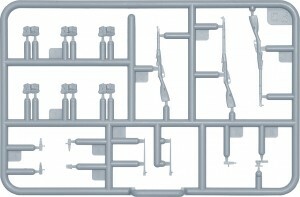 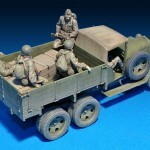 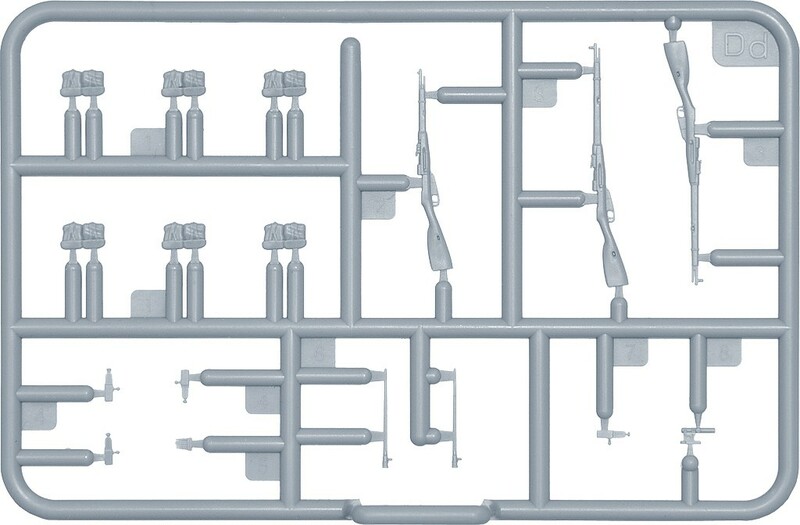 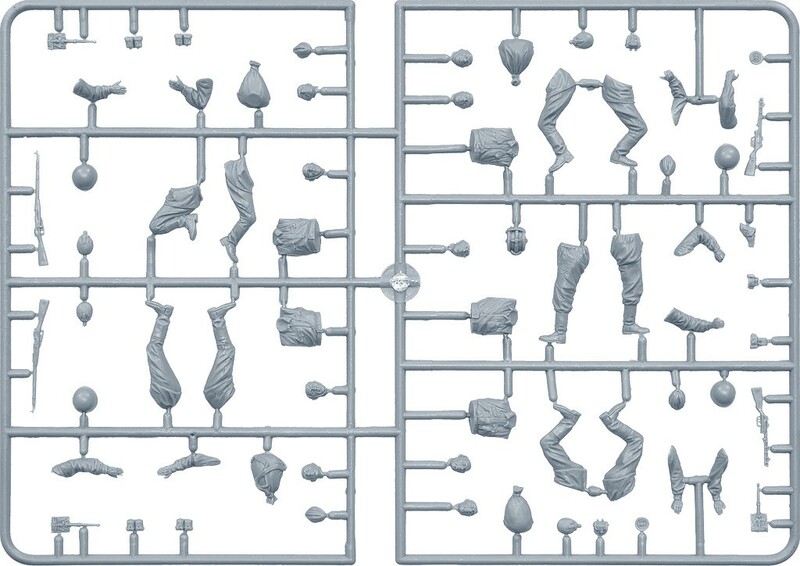 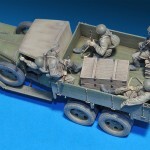 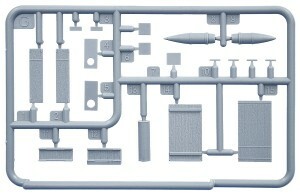 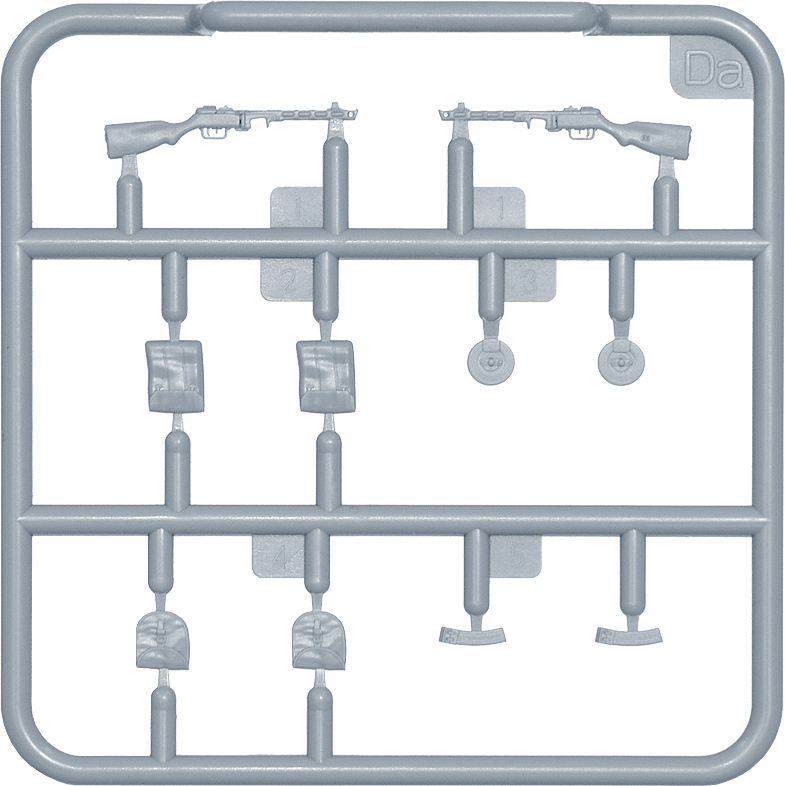 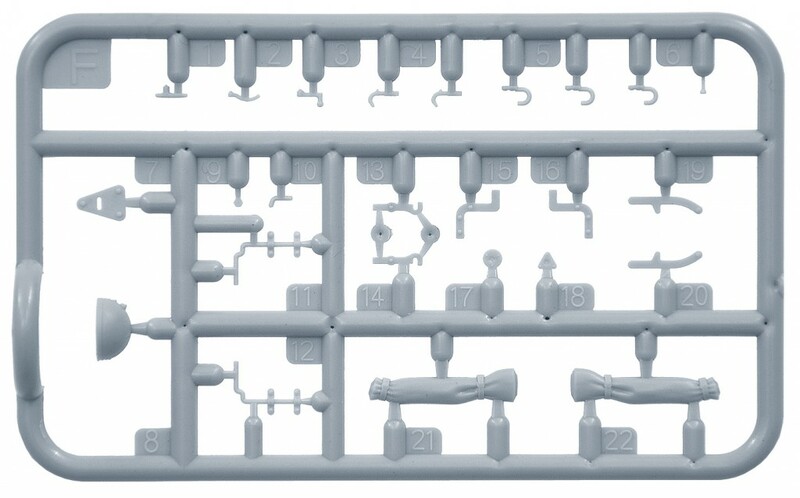 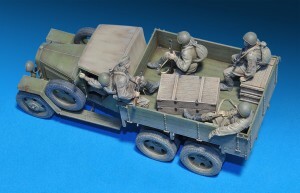 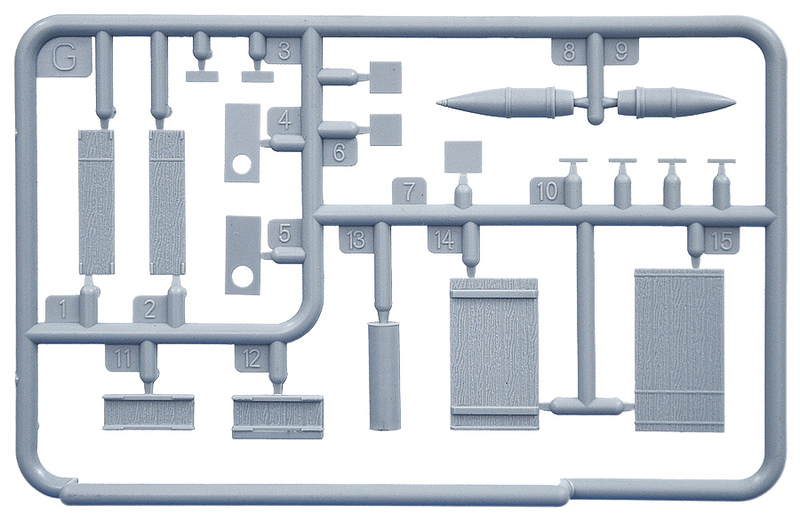 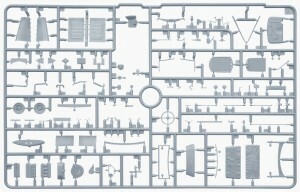 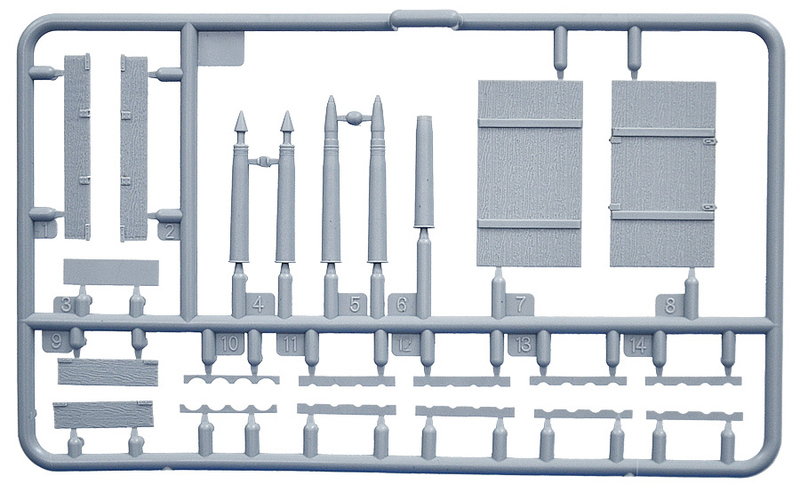 Set includes model of a cargo truck and six figures with new weapons and ammo boxes w/shells. 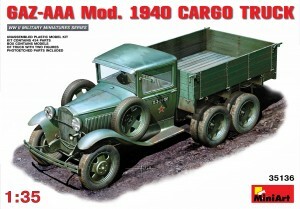 GAZ-AAA truck is the triaxial modification of GAZ-AA. 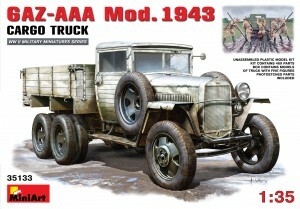 Prototype of GAZ-AA was American truck Ford-Timken. 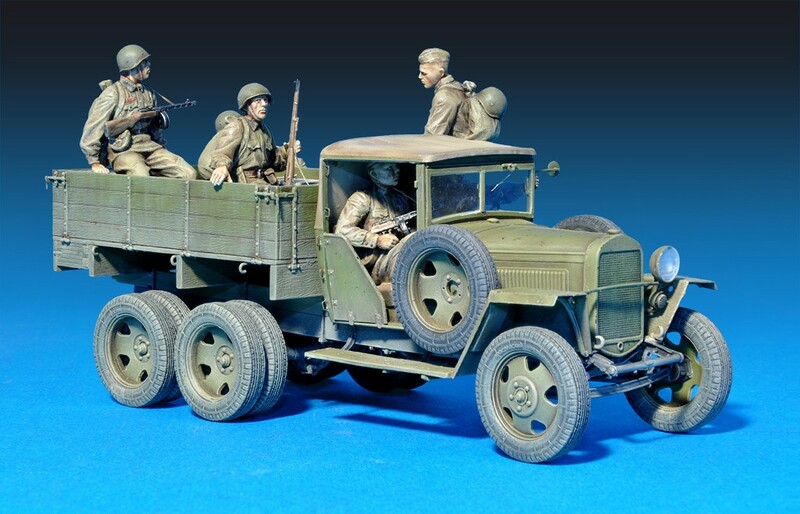 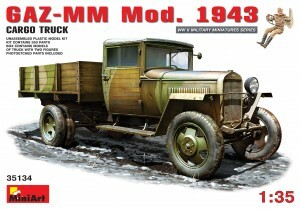 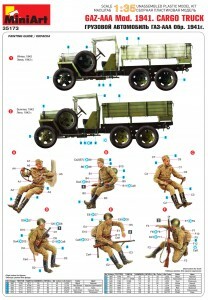 During it serial production (1934-1943) were produced 37 373 trucks, during WWII – 9 724 trucks. 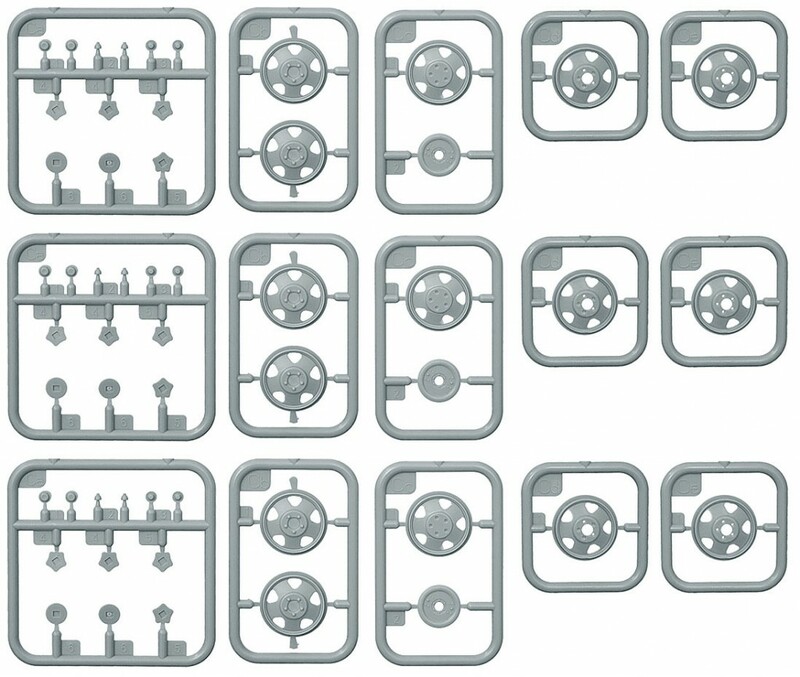 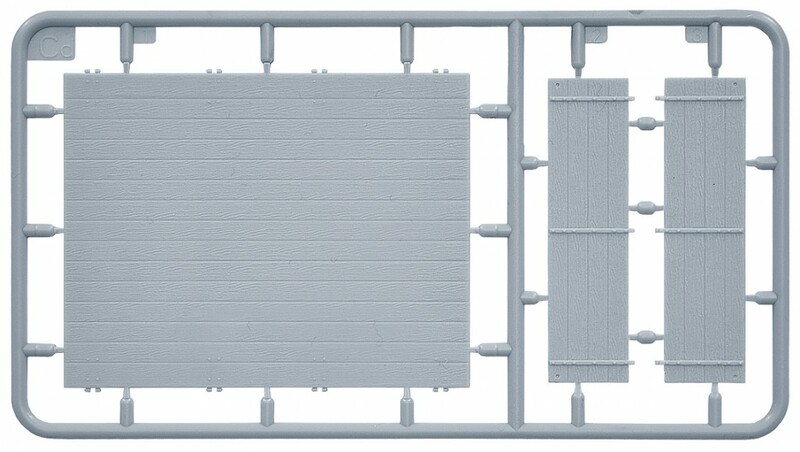 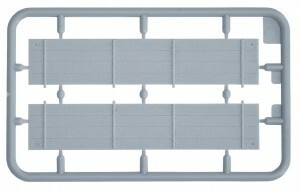 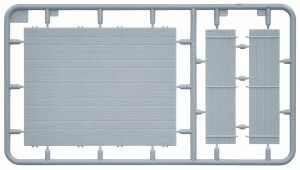 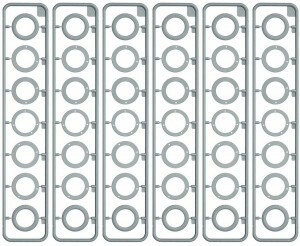 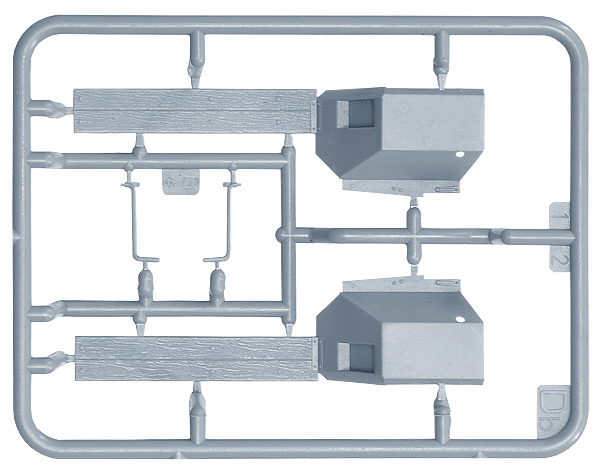 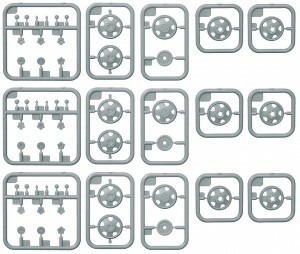 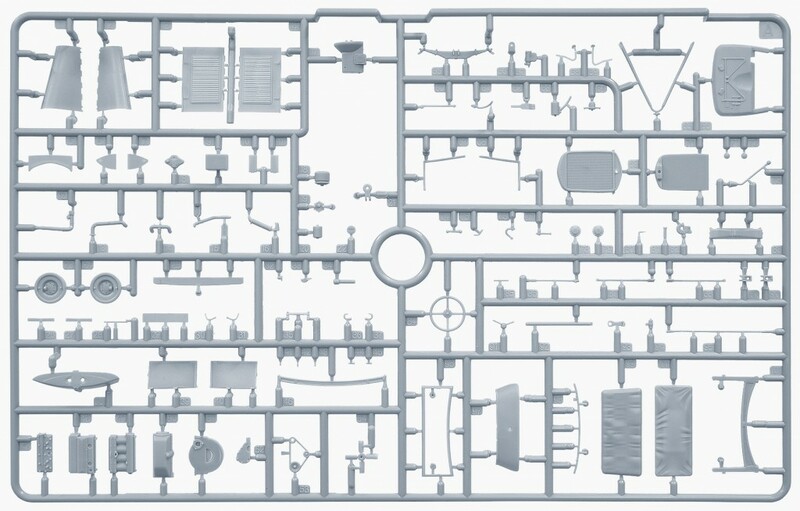 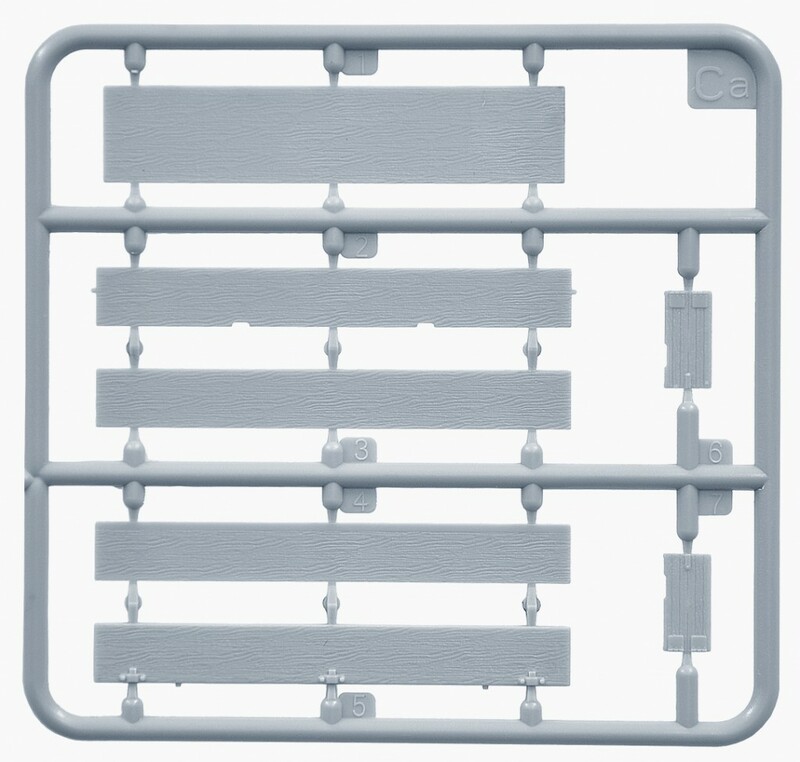 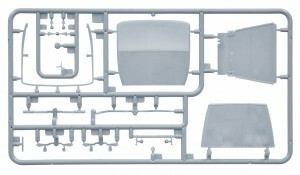 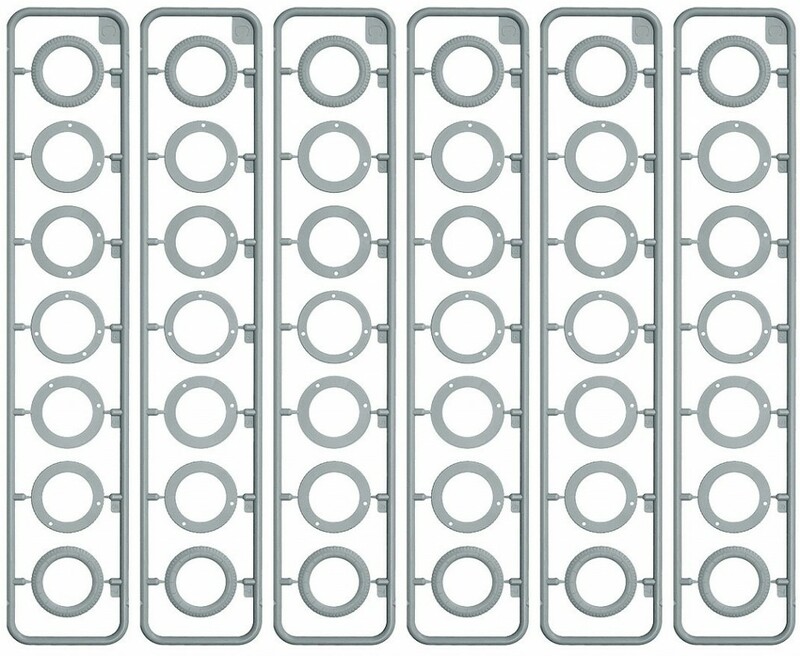 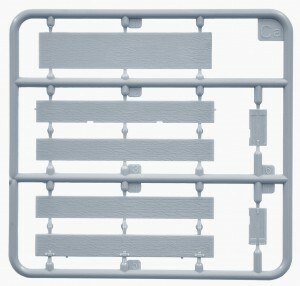 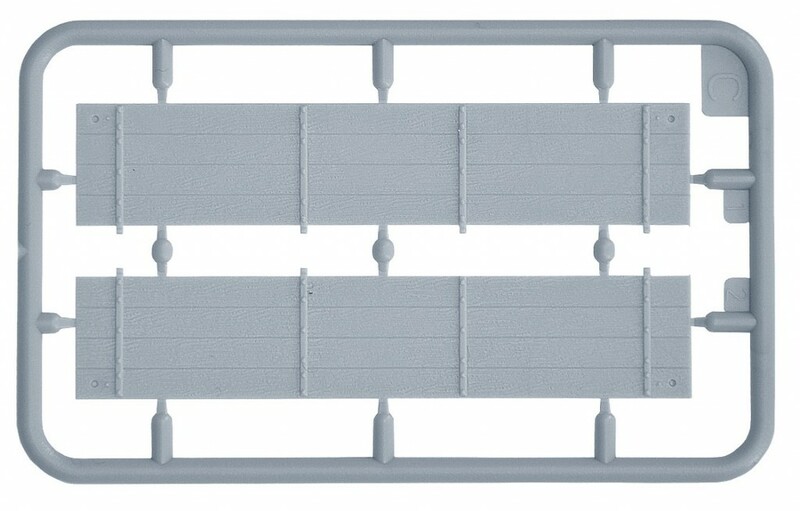 Nonmetering chassis for buses and armoured vehicles. 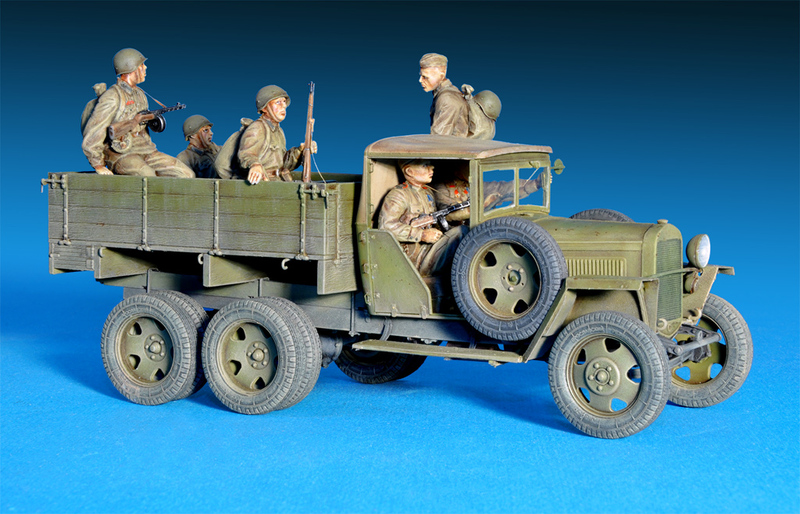 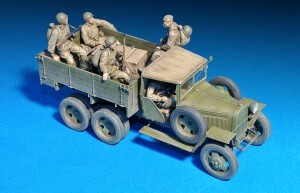 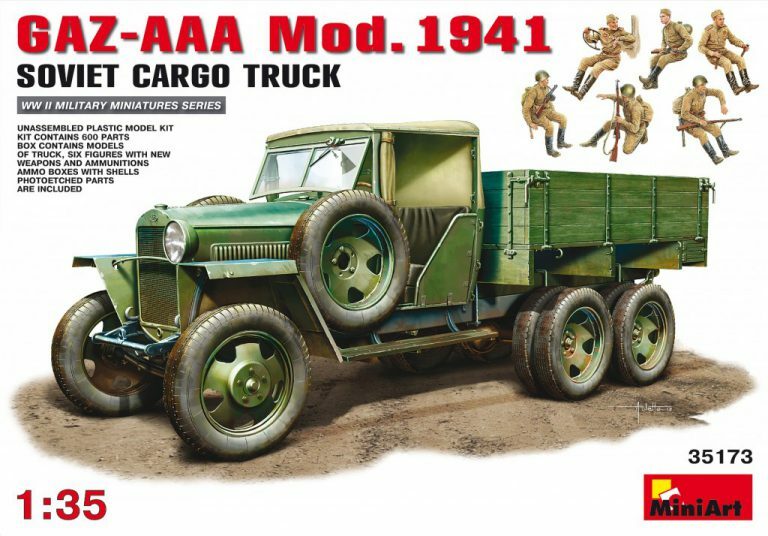 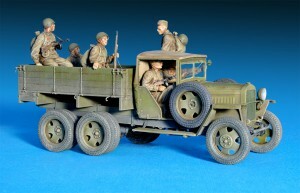 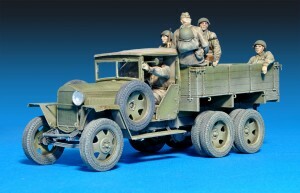 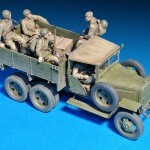 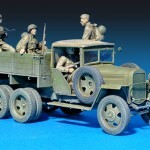 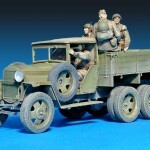 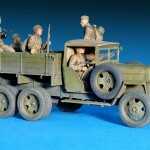 GAZ-AAA trucks were used for transportation of goods, staff and for towage of artillery systems. 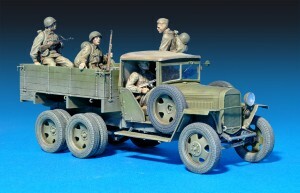 During pre-war period on the base of GAZ-AAA trucks were produced self-propelled artillery vehicles such as SU-1-12 with 76mm guns, antiaircraft emplacements with self-powered machine gun Maxim (4M); during WWII – antiaircraft emplacements with heavy machine gun DShK and with 25mm and 37mm automatic air defense guns. 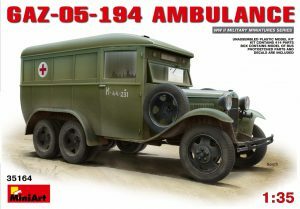 In 1938 GAZ-AAA was updated with new 50 horsepower engine, the central clasp brake on a shaft of auxiliary gear box, spare wheels were removed to the niche of front fender. In 1940 new kind of rear towing device was settled. 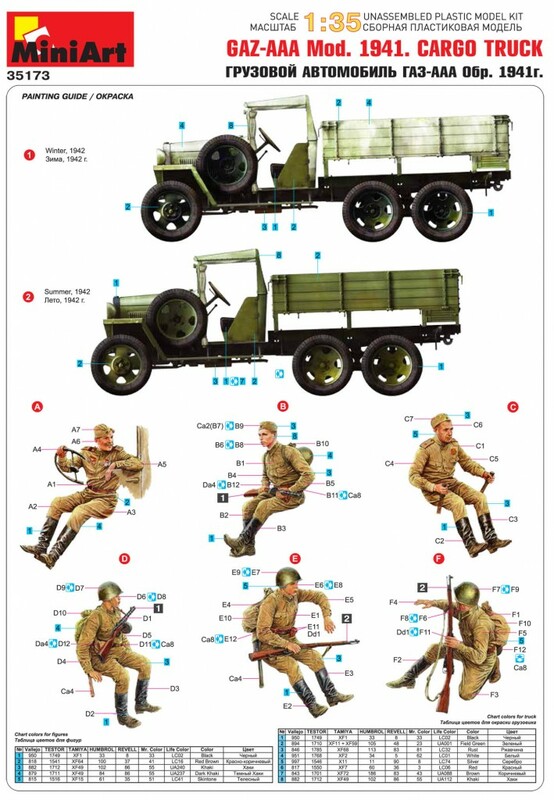 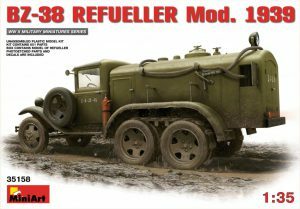 Different special trucks were produced on base of GAZ-AAA chassis such as radio station RSB-F, movable repair shops PARM and PM type A, fuel tanks BZ-38 and BZ-38U, water-oil-bowsers BMZ-38, ground starters AS-2 etc.